Mumbai Suburban District has announced notification for Mumbai Upnagar Bharti 2019 on its official website (mumbaisuburban.gov.in). Recruiting Department is inviting applicants for total 9 Assistant public prosecutor posts in Mumbai. This is the really best opportunity for participants who want to do the job in Mumbai Suburban District. All the eligible and interested candidates can apply for Mumbai Upnagar Recruitment from 2nd February 2019 to 25th February 2019. You must have to read official notification to confirm your eligibility before apply (Official Notification PDF link is given below in this post). On this page, Candidates can get brief information like Selection Process, Educational Qualification, Eligibility Criteria and Pay Scale information of this recruitment. The last date for submitting of application is 25th February 2019. The application received after the last date as well as incomplete and eligible applications will not be considered. Mumbai Upnagar Bharti 2019 is started and it is officially published by the Mumbai Upnagar Zilha. In this recruitment total, 1 vacancy and the name of those posts is Law Officer. 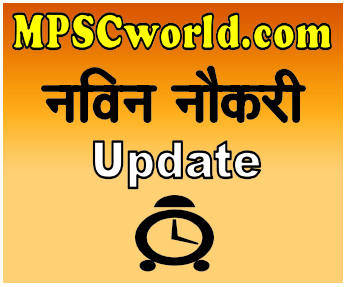 Last Date For Mumbai Upnagar Recruitment 2019 offline application form is 31st January 2019. In this post, you will get all important information like Eligibility Criteria, Educational Qualification, Interview Date, Selection Process, Age Limit etc. for the recruitment of Mumbai Upnagar Law Officer. So, Read below details carefully before filling the online application form.